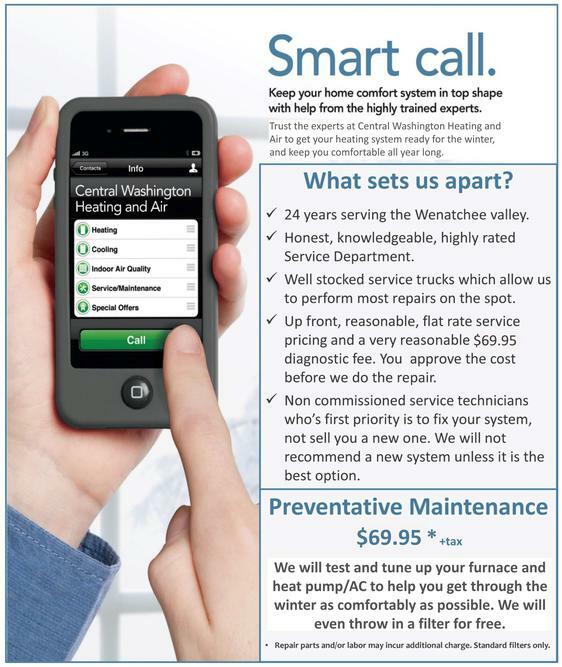 Serving the greater Wenatchee Valley and surrounding areas Central Washington Heating and Air will provide you with a custom solution for your heating and cooling needs. Whether it be a heat pump, air conditioner or furnace that needs service or replacement you can be sure that we will satisfy all your heating and cooling needs. Although each house is different the cost for installing a heat pump or air conditioner will not change by much. The equipment you choose is what will impact your price the most. Do you just want to get a basic system or do you want variable speed and several temperature zones throughout your home? Do you want internet access to your thermostat or a simple button thermostat? Whatever your heating or cooling needs are, we are sure to have a heat pump, air conditioner or furnace that can fulfill them. 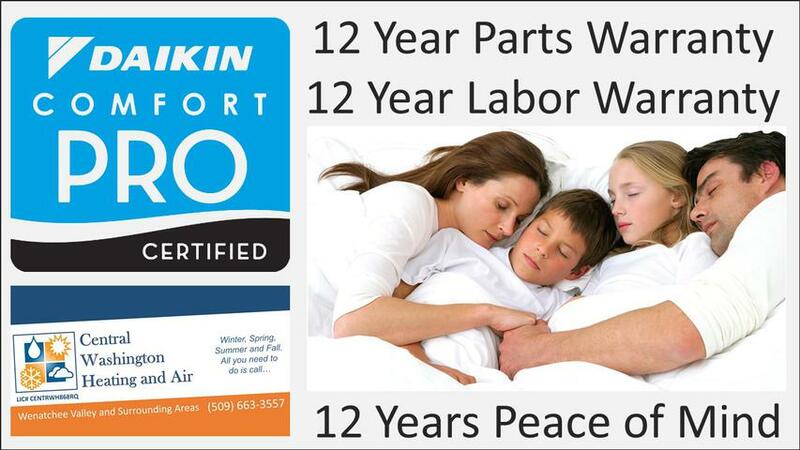 Experience the difference with Central Washington Heating and Air.